The British Parliament will consider alternative options for Brexit today as it prepares for a possible third meaningful vote on PM Theresa May’s withdrawal deal. Parliament will hold a series of ‘indicative votes’ on other arrangements, which could go against government strategy and include customs union or single market membership. At last week’s European Council meeting, Ms May secured a short-term extension to April 12 for Brexit, with a longer extension to May 22 if parliament approves her deal this week. The government hopes that the extension will make the agreement different enough to avoid its being blocked again under parliamentary rules. 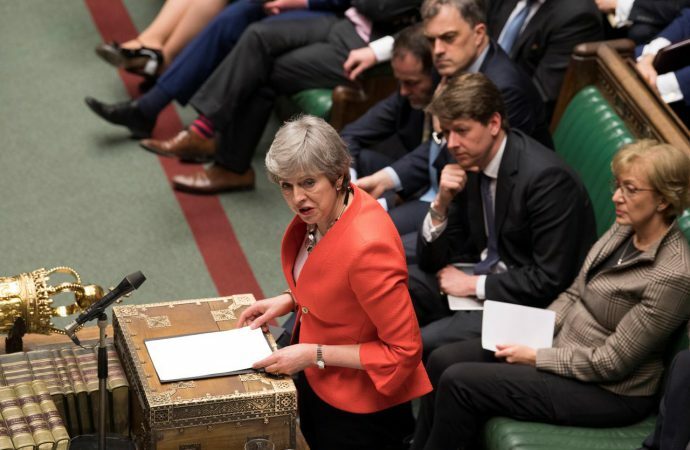 However, opposition to the deal remains, with the PM pushing Brexiteers to accept the deal due to the possibility of parliament supporting an alternative ‘softer Brexit’ and delaying Britain’s exit for an extended period. Despite the three-week extension granted by EU leaders, it is clear that control over Brexit has been taken over by parliament. If May’s deal is blocked in any way by parliament again, the possibility of fresh elections or a long-term delay to Brexit shouldn’t be discounted.